Based on James 2:14-17, many recent blogs have discussed the relationship between “faith” and “deeds.” Both are essential to the Christian. Like breathing in and breathing out, they are complimentary to each other and inseparable. For the newborn, our first act of breathing is in. This roughly equates to “faith”, coming to believe in and accept Jesus Christ as Lord and Savior. (being reborn) We become the “new creation” discussed by the Apostle Paul. Breathing in brings us to a new and changed life! Our basic nature is changed such that we begin to act and think more as Jesus would have us act and think. This is the essential act of “breathing out” of our deeds. It is how we carry the Good News back out to the world. Thank you for visiting this blog. 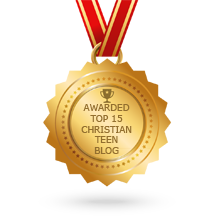 ChristianBlessings has a group of faithful Christian authors who present a wide spectrum of views and experiences. While here, please take a moment to review our latest offerings listed on the right side of this page or visit ChristianBlessings Home Page. We would also love to hear from you. To respond to a blog, you need to be registered at WordPress.com. It’s FREE and EASY. If you want to register, visit here: WordPress.com registration. This entry was posted in A CLICK A BLESSING TODAY, CHRISTIAN LIFE AND THE WORD and tagged Breathe, Deeds, faith, Pau, salvation, works. Bookmark the permalink. 3 Responses to Faith and Deeds: Like breathing in and breathing out! Faith and works / breathing in and breathing out – great explanation. Our works show our faith in action, but our works are only possible because of His work in us. So live, that when you come to die, you have nothing left to do, but die. ~ Jim Elliot. Let my faith in Christ lead me to the works that will last for all eternity. Not I but Christ Who lives in me.